Edith Bogner 92, formerly of Schuyler, died February 26, 2018 in Smithville, Missouri, where she was living with her daughter and son-in-law, Sandy and David Clapper. 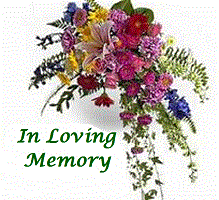 Memorial Service Saturday, May 12, 2018 11:00 A.M.
Visitation with the family from 10-11 A.M.
Edith was born October 3, 1925, in Schuyler, to Joseph and Stazie (Pytlicek) Holoubek. She attended Schuyler public schools and graduated from Schuyler High School in 1943. On June 18, 1945, she married Paul G. Bogner. As they raised a family, Edie and Paul lived in various places, eventually returning to Schuyler. She worked for many years as a legal secretary to Ed Asche. She and Paul retired to Columbus in 1978. Paul died in 1992 and in 2000, Edie moved to Arizona to get away from Nebraska winters and be close to her son Tom and his family. She recently moved to Smithville, Missouri to live with her daughter and son-in-law, Sandy and David Clapper. 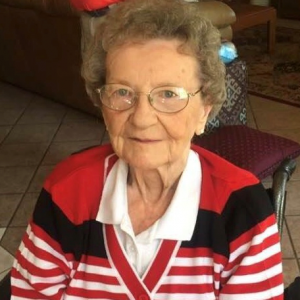 Edie was an avid sports fan favoring all Nebraska and Arizona teams. Edie is survived by daughters Connie (Ron) Ingle, Seattle, WA, Sandy (Dave) Clapper, Smithville, MO; sons, Tom (Carol) Bogner, Gilbert, AZ, Jeff Bogner, Green Valley, AZ and Steve (Sandy) Bogner, Plattsmouth, NE. Grandchildren, Ken (Rachel) Ingle, Michelle (Jason) Kruse, Jason (Lisa) Clapper, Danielle Clapper, Keri Conyers, Jeff (Carlene) Conyers, Michael Bogner, Brittany Bogner (Taylor Harsanyi), Heather (Brenton) Bauerkemper, great grandchildren and many nieces and nephews. She was preceded in death by her parents, husband Paul Bogner (in 1992), sisters Millie Vondracek, Pauline Leaders, Louise Meridith and brother Joseph Holoubek, Jr.